Please place your order before 9am Thursday 11th for delivery Monday. Any orders placed after this time may not arrive before the shows start. This Zoodie features the Newcastle Gang Show logo embroidered to the left chest. 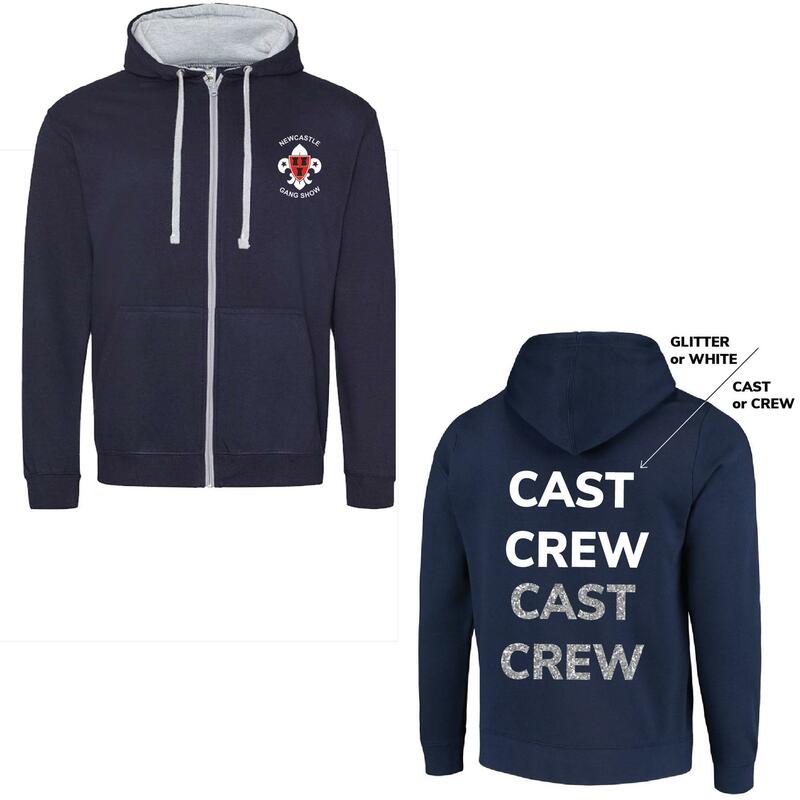 For an extra fee, you can choose to have CREW or CAST printed and also the option to have your name printed to the back as well. You also have the choice for this to be printed in white, or silver glitter. Please select from the dropdown menus and enter the name as required. We will print all names in UPPERCASE, regardless of how they are entered. Please ensure you have spelled your name correctly, as we are unable to amend/replace an item which you have ordered wrong. Please select Click & Collect - Newcastle GS, to obtain free delivery. These items will be available to collect at Gang Show rehearsals. Please have your order details available when collecting.